You’ve probably read about the benefits of allowing kids to fidget and move throughout the school day. But did you know traditional classroom seating arrangements can actually be dangerous to kids’ health? To learn more about what research tells us about active seating, listen to ergonomist Josh Kerst as he details the health risks of sedentary classrooms in his webinar How to Boost Student Performance With Active Learning Environments and read why veteran educator Kelly Almer completely eliminated desks from her classroom in Top 3 Reasons to Use Flexible Seating in the Classroom. Still have some lingering questions? 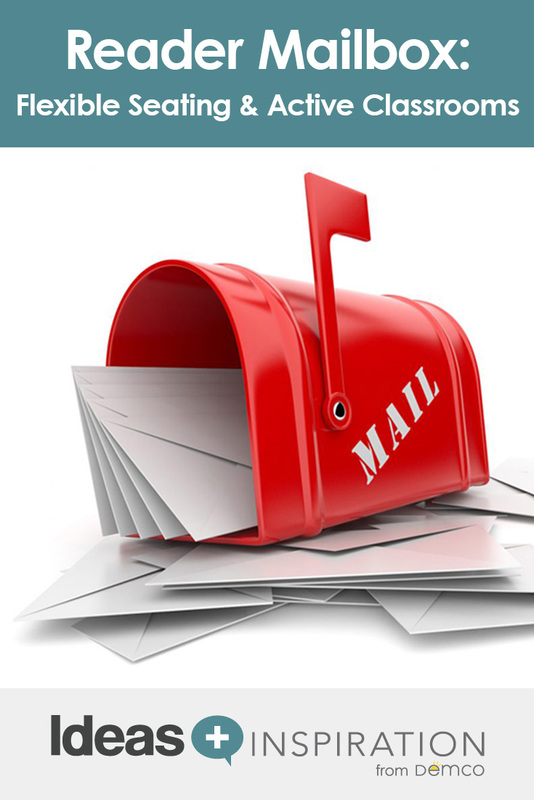 Keep reading to see what others are asking and how our experts answered their questions. And don’t miss all of the great resources that we’ve curated on our Flexible Seating Pinterest Board and Active Furniture Idea Gallery. Question: What steps do I need to take to rearrange my room for active seating? Josh: I’d start with a class assignment on sitting disease and have them learn about the risks for discussion. I’d also have kids start standing at the beginning of the day and after lunch. Once the discussion is started, my approach is to pilot a small area within a classroom or grade and then expand it. Start with getting a few standing-height desks and arranging them in a pod of 3 or 4. Remember to give kids a chance to voice their opinions, guide them through proper use (the 20-8-2 concept I discussed in my presentation) and encourage them to self-regulate their needs. Some schools create internal projects. For example, I know of a few schools that utilized project-based learning projects at the high school level to make desk risers (using 3-D printers) for elementary classrooms. Just make sure you always involve facilities and administration so no new risks are introduced into the classroom. Question: What’s the best approach for different styles of users in the same space? Josh: Be respectful that kids have different needs and provide different learning neighborhoods. I usually suggest two mostly standing desks with optional perching or leaning seating available and some traditional desks or soft seating if needed. Give kids choices and lots of accessories, such as fidgeting tools, active seats or wobble boards. 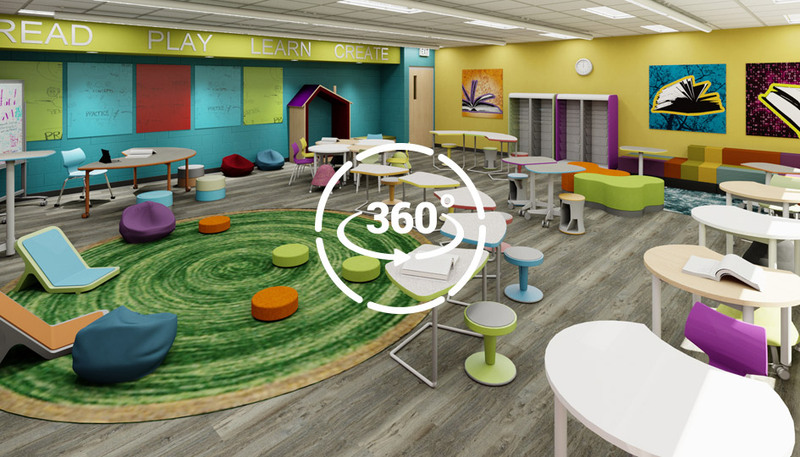 Take a virtual tour of this classroom and get ideas for creating flexible seating spaces that support the many needs and learning styles of your students. Question: I love the idea of flexible seating. I’ve seen multiple posts about flexible seating with younger grades. I completely agree that students are going to be more likely to learn and want to learn if they’re comfortable in the room, both physically, emotionally and mentally. Personally, I’d like to get rid of all the individual desks in my room and at least get tables. I’m wondering if you have any suggestions for utilizing flexible seating at the secondary level? More importantly, if a student misbehaves to the point where they are no longer allowed to use the seating, and there are no “regular” desks left in your room, what do you do? Have the student sit on the floor or a cushion nearest to you, or get one student desk. You can use this for those times when a student needs to be by himself/herself and also for when a student wants a “do not disturb” place in the classroom. I have had times where a student needs to be away from others, for both positive and negative reasons. If you always ensure they are comfortable in the designated spot, it tends to make the separate spot easier to digest. When this spot is being used by someone else as a quiet space and you need it for another student, simply let the one currently there find another comfortable space while you let the other student sit there for a while. I remind the student I am having him sit there so I can assist him in being comfortable and successful while I focus on the academics nearer to me. It is hard to argue with this logic! Start with the three types of seating options: low, middle and high. Seating options include a tall table that can easily move, along with some regular desks and floor seating. I suggest you take a poll of your current students: see how many prefer sitting/standing. Have some high seats (stools) for the tall tables. These should be movable as well. Sometimes students push the stools or chairs away from the tables to work. This should always be an option. I keep my tall tables on the perimeter of my classroom. When we need them in the middle, they are easier to move. I would keep a handful of regular desks and chairs (4–6) for those that like their own designated space or prefer the traditional. With only a small number of desks, this allows for greater movement in the classroom. Start simple: Move out 3–4 desks for every table option you move in. Make sure you have storage for any materials that were displaced when you moved desks out. Keep floor space between all the seating options open for ease of movement as well. Question: What do you do about standardized testing when students have to do individualized work? Kelly: I have so much extra space now with the desks gone that furniture was easily moved to accommodate students. I have privacy screens, so we used these around each student. Since the students were comfortable, they were able to focus longer! I was pleasantly surprised by the motivation. We didn’t need to take stretch breaks because they were able to stretch out. Therefore, they kept on task longer. I had an administrator come in to check out the configuration (students helped me get creative!) to ensure we weren’t violating any rules. I also had my students open their screens, making sure they couldn’t see anyone’s work. This all worked just fine. Flexible Seating: What Is It and How Does It Benefit? Kelly has been an educator for 30 years in Littleton Public Schools in Littleton, CO, and has taught grades 4–7. Her areas of focus include gifted and talented, technology and instructional coaching. She has presented at the Innovative Education Colorado Conference, as well as the ISTE International Conference in 2016. Kelly loves being an educator and is constantly learning and striving to improve and try new methods. Along with teaching, she is also an accomplished painter. You can follow Kelly’s blog.